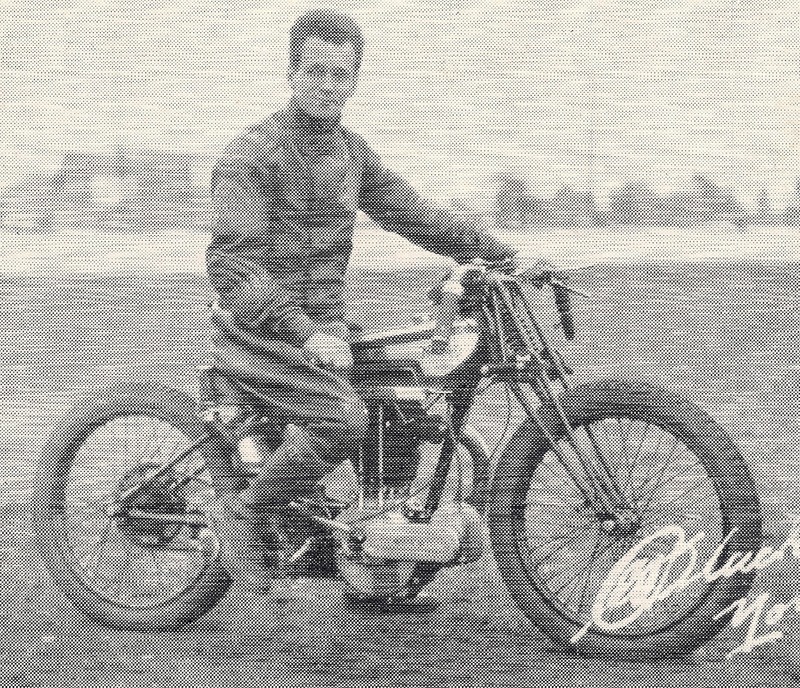 -SG- In the recent posting about the VMCC Founder's Day event, I mentioned that I had been offered a snap of E O Blacknell on a Dirt Norton prototype (ca 1929) for a little matter of £45 ... I had seen it before and indeed I now find it featured in a short article from Motorcycle Sport by Titch Allen back in 1966. Regrettably the photo does not scan too well but it appears to show a Model 18, shorn of such things as brakes and mudguards, wearing a rather handsome small sprint tank. But appearances can be deceptive and in the accompanying text, Titch relates - seemingly with some surprise at such advanced technology - that the cams were screwed to the shafts and minute adjustments to valve timing could be achieved by placing shims behind them. He was, I guess, unaware that this arrangement came into being with the ES2 engines introduced at the end of 1927 although in all honesty, I have never come across even one Vintage ES2 cam with a shim behind it, and I can tell you they are extremely hard to remove without damaging the cam wheel teeth. However, I accept that the engine of Blackie's bike may have been set up in this way initially. As many home assemblers of Vintage Norton engines have found, getting one cam pretty well spot on by careful use of the three keyways in the timing pinion is one thing but getting the other cam right is quite a different matter! But all this brings about a further question: if ES2 style cams were fitted then the crankcase must also have been ES2 as the timing chest is different from the regular version with the large base circle cams used by Norton for about twenty years. And that would mean ES2 steel flywheels ... And the timing chest cover with mag drive out front ... I guess this must have been a special although by 1930, when the screw-on cams became standard, any of the 1930 OHV/SV timing covers would have fitted.